Babies are the most beautiful gifts from God, Made a quilled cradle & a baby for wishing New Baby. May the new born angel shall bring in loads of happy and memorable times. 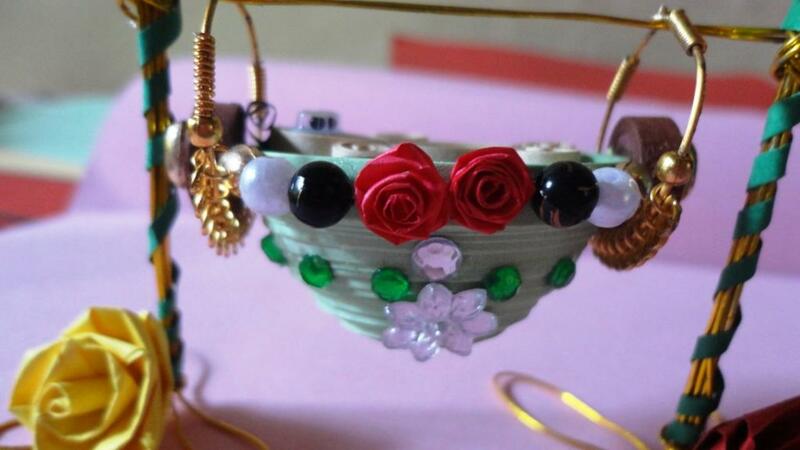 then decorated it with beads, Folded roses and Stones.... Think u all like it..
Sending this for the below challenges. OMG fantastic project! Lovely colours and great design! Thank you for joining us at Heck of a Challenge and Good Luck! I'm an accountant, a simple & happiest person.. I love crafts since my childhood..My main interest is Quilling.. Also i love to do painting..